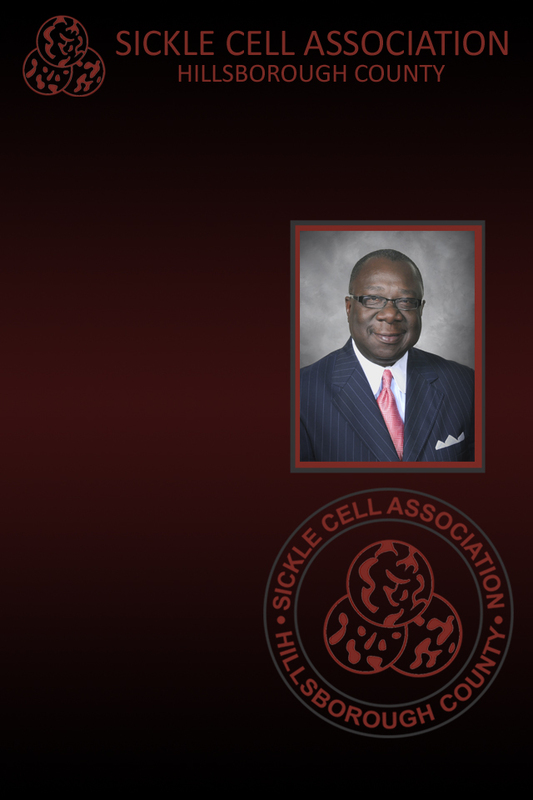 Mr. Reddick is currently the President & CEO of the Sickle Cell Association of Hillsborough County, and past member of the National Sickle Cell Disease Association of America Board. Mr. Reddick is also a Tampa City Councilman for District 5, President of the Northview Hills Civic Association, member of the Hospital Authority Board at Tampa General Hospital, Vice-Chairman of Community Health Charities of Florida Board of Directors, Chairman of Veterans Commons Community Development Corporation’s Weed & Seed Tampa II Steering Committee , board member of Healthier Florida Foundation, board member Tampa Sports Authority and board member Public Transportation Commission. He is also chairs the City Council Public Safety and Community Redevelopment Agency committees, as well as serving as the vice-chair for the Transportation committee. Frank Reddick is a lifelong resident and graduate of public schools in Hillsborough County. His educational background includes a Bachelor of Science Degree in Education/Psychology from Paine College, Augusta, Georgia. SavvyCard is an online business card that makes working with Frank as easy as tapping a button! Tap the Call, or Email buttons to contact Frank directly. Tap the Share button to share Frank's SavvyCard with anyone you think might be interested.